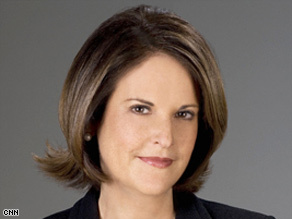 CNN's Gloria Borger says it's time for President Obama to take ownership on health care. WASHINGTON (CNN) -- There is a moment -- on every issue of consequence -- when a president has to step in and declare: I own this. It's tricky, this political decision of when to claim responsibility. Should it be before Congress hashes out some of the tough decisions? Should it be during negotiations? Or should the president wait to wade in until there is a final impasse that only he can help resolve? So far, at least, the Obama administration (by its own admission) has adopted the Ronald Reagan model of congressional relations: State what you want broadly, then watch Congress work -- and wait. Finally, pronounce your vision and offer it to your opponents. Then, take it to the people. It worked well with the stimulus package, which was losing altitude after Republicans pounced on some questionable spending. President Obama scrapped those provisions, then took his larger case to town halls outside Washington. While congressional Republicans remained against him, the public came around -- and even gave him credit for reaching out to the other side. When you've got a 67 percent approval rating, closing the sale with the nation can be the easiest part. But now comes health care reform -- an issue that dwarfs the huge stimulus package. If Obama signs a substantial package this year, it could well define his presidency -- as transformational, and only in its first year. The timing, it seems, is perfect: Those who opposed reform more than a decade ago (the insurers, the pharmaceutical companies, large employers) are now on board with the general notion of reform. Both the nation and business can't afford the system we have. The country wants change. Now Obama has to decide on the change he wants. In other words, it's time to own it. Sure, the president doesn't want to repeat Hillary Clinton's mistakes made 15 years ago. She came to Capitol Hill with a plan, which was then picked to death. No one can argue that the congressional committees need to be allowed to work their will. As White House Chief of Staff Rahm Emanuel tells me, "He's not going to be legislator in chief. The notion that somehow he's going to return to the Senate is wrong. ... Everyone understands his goals: maintaining both quality and cost controls." But as the debate rages in the Congress, the public may want to hear more from the president. Where is he, for example, on the question of "mandating" that every person in this country have health insurance? During the campaign, he railed against Clinton for proposing such a notion -- an idea that is now very much on the table. And what about public health insurance, which Republicans -- and many moderate Democrats -- oppose? If the president believes that a public plan would make prices more competitive and bring more people into the system, tell us how. "We will do that at some point," one White House adviser tells me. "We are making choices now." The biggest choice the president needs to make is figuring out how to pay for all of this. Congress is notoriously bad at paying for things (in case you haven't noticed), especially when it comes to raising taxes. But the bill for all of this reform is at least $1.5 trillion over the next decade. The White House has been talking about Medicare reforms amounting to $200 billion to $300 billion over the next 10 years. Great, but give us the goods. The most vexing problem, of course, is taxes. Two White House sources tell me the president is still very interested in a cap on itemized deductions -- such as home mortgage and charitable contributions -- for the wealthiest taxpayers. Congress has declared any notion of capping such deductions dead on arrival, but the White House hasn't given up. But here's what sources say they're not interested in: taxing health care benefits. "Which is more politically difficult?" asks one senior White House adviser. "Taxing health benefits for workers or taxing the wealthy?" Emanuel makes the case that "the president has let his priorities be known" and that's enough for now. He'll be talking about controlling health care costs as the key to salvaging the economy, Emanuel adds, but he's not going to start legislating. At some point, though, Obama will have to decide how many Republicans he can get, and at what price. It seems to me that great changes are hard to sustain if they're passed by slender or partisan majorities. But there's another school of thought that seems to be the Obama approach: The value of bipartisanship is determined by what you give up in order to get it. So here's what we need to know from the president: Is ditching a public insurance plan too much to give to get some GOP votes? How can he get some Republican support on the thorny tax issues? Or are Republican votes expendable? "At the end of the day, if you incorporate some good Republican ideas, you've given it your best shot," says a senior White House adviser. "That's the best you can do. But everyone has to want to play." Including the president. And the sooner the better.